Effective. FDA-Cleared. Affordable. Put SkinPen® to work for you. Skinpen® by bellus medical is the only microneedling device in the world cleared by the u.S. Food and drug administration, clinically proven to safely and effectively treat facial acne scars for ages 22 and up. The SkinPen® Precision system is the only Class II, FDA cleared microneedling device legally marketing in the U.S. The SkinPen® microneedling device causes controlled micro-injuries that stimulate the body’s natural wound healing process, while minimizing cellular damage. The micro-injuries trigger the release of cytokines and growth factors that lead to remodeling of collagen and elastin. The result is effective remodeling of scar tissue, while keeping the overall structure of the skin intact. Most patients report feeling only the slight vibration of SkinPen® during the procedure. Your provider might recommend an aftercare regimen. Ask about Skinfuse, Bellus Medical’s 90-day protocol specifically formulated to support your skin following microneedling. Combining platelet-rich plasma (PRP) with microneedling allows us to take this treatment one step further. PRP is an advanced technique which utilizes the body’s own blood cells to actually boost the production of collagen, thus enhancing efficacy and the overall success of the treatment. Microneedling with PRP can significantly reduce the appearance of fine lines and wrinkles, improve skin tone, and help with the treatment of acne scars, surgical scars, and even stretch marks. It sometimes called a Vampire® Facial because the PRP and growth factors are obtained from your blood. 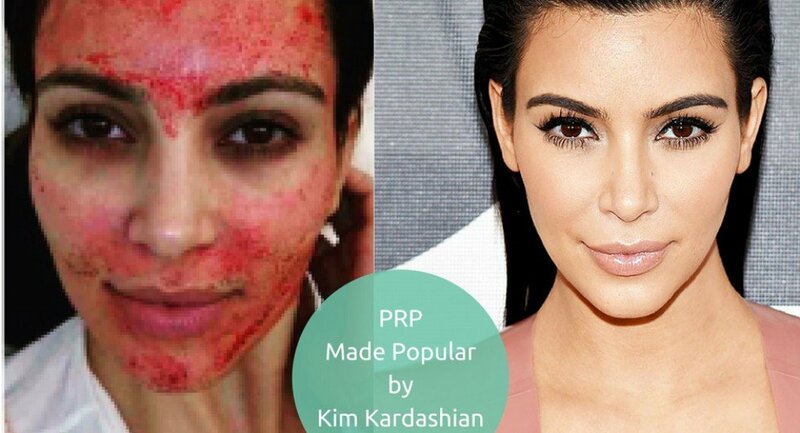 Platelet Rich Plasma Facial Treatment is nearly identical to the Kim Kardashian Blood Facial that became an Internet sensation last year. What happens during the PRP facial procedure? The tube is placed into a centrifuge and spun to isolate the PRP (platelet rich plasma). The contaminating red and white blood cells are displaced and located below the separator gel. The PRP is ready for use according to the clinical use requirements. Yielding about 6 mL’s of autologous platelet-rich plasma (A-PRP). What’s the science behind PRP facial treatment with SkinPen®? You should give the treatment some time to reach its maximum effect. Most patients will just need one treatment every six months to achieve and keep the maximum benefit. Some patients with severe skin damage can benefit from a series of treatments. Ask your specialist at The Spa at West Ashley Wellness about packages with reduced pricing if you need multiple treatment sessions of PRP and micro needling. Is the vampire facial with platelet rich plasma safe? Yes. This system has been safely used in hundreds of thousands of procedures worldwide. Because this procedure only uses the platelets from your own body there is no chance for an allergic reaction. It uses your body’s natural healing response system to improve your skin. The SkinPen® by Bellus Medical is a FDA cleared medical device. SkinPen® is intended for the safe and rapid preparation of autologous platelet-rich plasma (PRP) from a small sample of blood at the patient point of care.